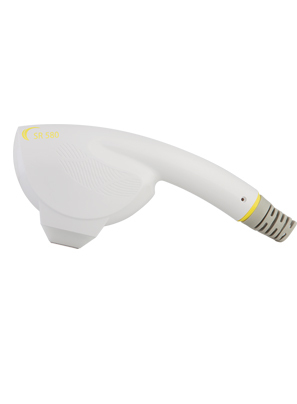 The SR 580 handpiece is designated for skin rejuvenation and has a yellow wavelength that ranges between 580 – 950 nm. Depending on the treatment and skin type, you can select between three DPC pulse modes- smooth, long or high. The handpiece’s software automatically selects the optimal treatment parameters, but they can also be set manually. The SR 580 has a spot size of 3.4 cm2 and a fluency range of 5-25 J/ cm2. The handpiece has been designed for easy access to all body areas and comfortable use. It is equipped with a Sapphire contact cooling tip with three modes- low, high and off.